Are there such things as “objective values”? That is, are there values that have a claim to objective reality in much the same way as the laws of physics? Or are all value claims subjective, nothing more than a matter of personal taste and desire, without any special reference to what is real beyond the fact of the desire? Caution needs to be exercised here, as the framing of the questions above pose a false dichotomy. In addition, asking about objective values is a different question from that regarding the existence of objective morality. Values can be morally neutral, whereas morals are a very definite sub-collection of values. It is possible that some values might be objectively real (chocolate is objectively yummy not because we like it, but because it is just the best thing in the world), without ever entailing (in the logical sense of formal implication at the deepest levels of meaning) that any objectively real morals exist. Conversely, there can be objectively real moral values which nevertheless offer no further implications to the full range of other values, or even to other putative moral values. 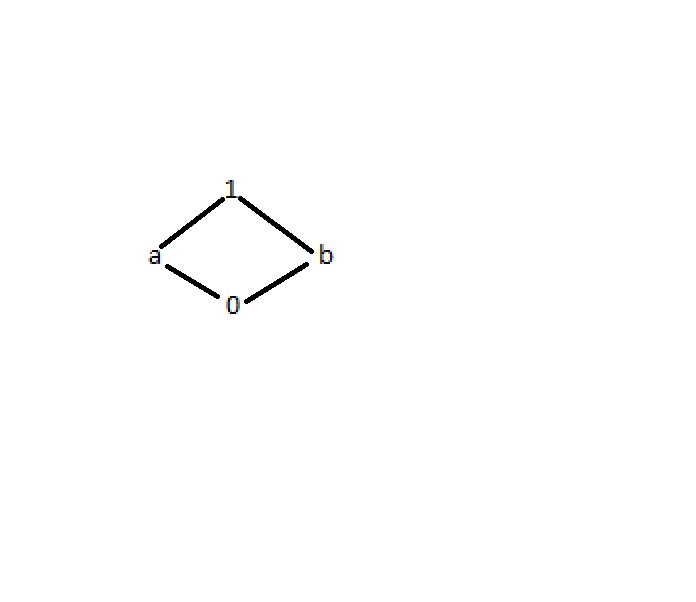 The relations involved are not simple ones, and do not involve set-theoretic/mereological containments (A is a smaller part of B) nor any necessarily transitive implications (that is, A implies B, and B implies C, therefore A implies C.) Connections – insofar as they exist at all – are “thin,” and can fade with the (metaphorical) “distance” between acts of evaluations, intentions, meanings, and values themselves. Now at the biological level, at least, there are clearly some values that are just as objectively real as biology itself. Food is a biological good that any organic being – regardless of its underlying chemistry – will necessarily require. Notice, however, that food is not “good in and of itself”; it is only good in relation to such organic beings that it provides nourishment to. The fact that its value is relationally interdependent with those organisms it nourishes does not render the objective value of food any less objective. For a thing to be objectively real does not mean it stands naked of all relatedness to other things in the world. Someone might object that I am presupposing that organic life is itself a value. While I dare say it would be briefly amusing (until it became unbearably painful) to see someone attempt to argue otherwise, I am not operating on such a presupposition here. I am only presupposing organic life as an objective fact. Such life, as a matter of fact, has values, and at least some of those values are as objectively real as biology itself. There is no matter of subjective choice involved in determining that this protein gives us nourishment, this carbohydrate provides us with energy, this chemical poisons us, and this other is neutrally empty as far as our life-cycle is concerned. Yet another attempted objection might be that I am presupposing the existence of objective facts, facts that we can know about. Unlike the previous objection, this form of radical relativism is not so much amusing or absurd, as it is manifestly insane. No one seriously entertains such an exceptional view of reality, as is made patently clear by the obvious fact that they act in accordance with facts – at least, in the broader conduct of their lives. Anti-vaccine ideologues deny and ignore facts, climate change denialists disparage and lie about facts, creationists confabulate the most outrageous nonsense rather than deal honestly with facts. But they all drink water rather than sulphuric acid when they are thirsty, because the fact of the matter is that water satisfies and acid kills; they rest their heads on pillows rather than the glowing-red heating elements of their stoves, because the fact of the matter is that pillows are comfortable, while heating elements burn; if they walk in front of an oncoming automobile, it is because they were distracted and did not see it, not because they assumed it would bounce off their soft, squishy bodies in the absence of any real, objective facts. The question of objective morality is a bit trickier. (Some folks treat the terms “ethics” and “morality” as meaning somewhat different things. For the purposes of my discussion, I’ll toss them about as indistinguishably the same.) For example, many students taking an intro Ethics class will adopt a position of “moral relativism,” that there is no right or wrong, just do what feels good to you. Among the problems with such an attitude, besides the fact that it is logically indefensible, the only people who really believe such a thing are sociopaths. If there really is no such thing as right and wrong, then Ted Bundy is as admirable a human being as Mohandas Gandhi, and Adolf Hitler is morally indistinguishable from Martin Luther King. An easy classroom example for persons who claim to embrace moral relativism is to offer to grade them arbitrarily, issuing “F’s” on no other ground than because the instructor feels like (it “feels good” to me.) Insofar as the students consider the example at all, there is an amazing proclivity to discover thee objective value of fairness. I suspect that many of those who claim to embrace moral relativism are, in fact, advocates of tolerance. But in so far as they are advocating tolerance as a reasoned position, they are adopting it as an objective (moral) value. Their problem is that they do not recognize that that is what they are doing. You cannot argue that something is better or worse, fair or unfair, except by presenting reasons for such a claim. And that act of presenting reasons is already to declare that there is an objective standing to the conclusion that is being urged. The above is a simple lattice, a graphical representation of a partially ordered set. The second error is to imagine that anything good is good eternally. Having already highlighted the fact that at least some values are relational in character, then changes in those relational characters (which may or may not qualify as “emergence”) may well alter the order and status of at least some values. For example, child mortality and rules of inheritance once prioritized a type of marriage whose purpose was to secure the bloodline of one’s children and provide a support system for raising those children to adulthood. But to whatever extent this traditional formula represented a high moral good in its day, the structures that provided that good are increasingly irrelevant. (Indeed, even a hundred years ago, the “marriage = children” formula had effectively fallen apart.) Concerns for the survival of the tribe are largely gone from the world, determination of patronage is a matter of scientific testing, social and economic opportunities make single parenting increasingly viable, child-birthing and -rearing options make heterosexual marriage only one live option amongst others, and so on. Meanwhile, the social and companionate aspects of marriage have become significantly more important goods while matters of family alliances and inheritance dwindle in concern. So just because traditional marriage used to be important, this is no basis for concluding that it retains that importance, or is in any respect better or more valuable than some of the contemporary developments we are witnessing in the industrialized countries. One final word here: what can we say about moral philosophy, in particular the above mentioned intro Ethics class? The days of Herr-Doktor-Professor pontificating on what is RIGHT and what is WRONG are well and happily behind us (except, perhaps, at some private, religious institutions.) Some instructors present the materials in an exclusively historical &/or developmental context, but I’m not convinced that such an approach is especially helpful, particularly for students who are not studying philosophy as a major. The approach that I (and many others) advocate is this: an intro Ethics class is an introduction to methods of ethical inquiry through the ideas of past philosophers. In other words, the task of such classroom experiences is not to provide the student with “the answers”; rather, it is to cultivate the habit of asking better questions.